Alex Dontoh is a Professor of Accounting at the Stern School of Business, New York University. He is the Director of the Master of Science in Accounting program. Professor Dontoh holds a Ph.D. from New York University, an M.B.A. from the University of California, Berkeley and a B.Sc. in Business administration from the University of Ghana. 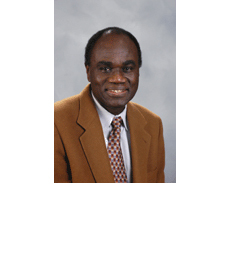 Professor Dontoh's research focuses on analytical aspects of the economics of information. He has investigated a number of analytical and empirical issues in accounting related to effects of mandated and discretionary accounting disclosures, their effects on managerial decision making, and on firm market value. Professor Dontoh has published a number of articles in a wide range of journals, including The Accounting Review, Contemporary Accounting Research, Review of Accounting Studies and other leading research journals in accounting. He is a member of several academic associations. Professor Dontoh teaches Managerial and Financial Accounting mostly in the undergraduate program at the Stern School. As the Director of the Undergraduate Program in Accounting, he is responsible for overseeing development of the undergraduate curriculum in accounting which has been consistently rated in top 10 accounting programs in the country.